Originally posted in the Philanthropy Daily. View the original article here. There is understandable angst within and for the charitable sector regarding 2017’s Tax Cuts and Jobs Act. There are many unknowns, especially about the impact on charitable giving. There are ambiguities that make compliance difficult, at best. There are fears that new programmatic burdens will be imposed on sector organizations even as funds available to meet those burdens are redirected as taxes to government and money spent on compliance. Passage of time has generally heightened rather than assuaged the angst. But the Act poses more than financial threats to the charitable sector. Certain provisions undermine the very notion of being tax “exempt” while at the same time eroding the sector’s fundamental character in service to our nation and its core principles. Both conclusions follow from the Act obfuscating what should seem obvious: charitable organizations and businesses are not the same. In fact, three provisions of the Act either overtly equate nonprofit charities with for-profit businesses or treat charities worse financially. One provision transforms expenses incurred in pursuing charitable purposes into income earned for unrelated purposes and on which taxes must now be paid. Another provision changes how 501(c)(3) organizations can offset unrelated business losses against unrelated business gains. The third imposes additional taxes on compensation paid to employees above a certain level. Considered in isolation or as having merely financial consequences, each of these provisions might be less foreboding, but their aggregation and breadth suggest something more ominous for which more enhanced, persistent vigilance and corresponding action are appropriate. One provision of the Act magically converts into taxable income the expensescharities incur for certain transportation and parking fringe benefits made available to employees. While there might be some surface appeal as being “fair” because the Act ostensibly took away the ability of for-profit companies to deduct those benefits, “seeming” fair and “being” fair are not necessarily the same. More importantly, sometimes “fairness” – however conceived – is not the most relevant or even right standard. At a minimum, compensation at many charities is often less than is paid in business. Fringe benefits like subsidizing transportation and parking costs are often meaningful ways for many charity-employers to support their staffs without expanding overhead costs in the ways that cumulative salary increases can do. But the same can also be said for many startups and small businesses generally. As confusing and economically problematic as the provision is, the more serious attacks arise in the two ways in which this provision disregards the notion of being tax exempt and charitable in the first place. First is the magic exerted in transforming expenses into base income that then is taxed. More fundamentally disturbing is how the Act next takes expenses that are incurred in the ordinary and necessary course of pursuing charitable activities and mysteriously mutates them into – not just “income” – but income that is by definition not related to those very purposes. Whether fair or not, and I do not concede that it is, this provision’s tax on expenses incurred in the normal course of charitable activities degrades tax exemption and undermines the sector. Previously and much like how businesses may still behave, charities could offset unrelated business losses from unrelated business gains without regard to where the unrelated business losses or gains originated. But now the Act mandates that charitable organizations “basket” or “silo” their unrelated business taxable income and corresponding expenses so that those losses may only be offset against gains from the same “activity” that gave rise to the losses. Setting ambiguities aside, the provision risks putting exempt organizations in a worse financial position than for-profit businesses generally. Given that taxation of charities’ unrelated business income was intended to “level the playing field” of competition in the marketplace so as not to disadvantage business, the Act un-levels that playing field again but this time to disadvantage charities and perhaps also those otherwise served by charities’ unrelated business activities. For example, a hospital may have to decide to stop providing otherwise unrelated pharmacy or medical lab services because there may not be enough unrelated gains from the “activity” against which to offset unrelated losses. Or, paradoxically, a charity may decide not to make unrelated investments that could enable flow of capital to business if the risk is significant that the charity will not have taxable, unrelated gains from the “activity” against which to offset unrelated losses. In both examples, the Act’s potential effects transcend charities. The third provision of the Act that deserves broader attention is the excise tax on compensation above a certain level. This provision applies to the charitable sector a similar tax imposed on some for profit businesses. On the surface, this provision appears to be merely trying to be fair across these two aspects of the private sector. Again without conceding the relevance of “fairness,” a key part of the equation is missing. This tax does not equate charitable organizations with for profit companies generally but with only one type of for profit company: those that are publicly traded. The compensation tax does not apply to privately held companies. Thus, this tax again treats charities worse than certain businesses and un-levels the playing field by putting charitable organizations at a disadvantage relative to them. Moreover, if there are analogies that should be drawn, charities are much more like privately held companies than they are publicly traded companies. In that case, the tax should not have been imposed on charities just as it is not imposed on privately held companies. While the premise of the preceding can be debated, at a minimum the point remains that there first should have been robust debate about whether charities are more or less like publicly traded or privately held companies in this regard. Instead, what remains is an apparently un-assailed and dangerous presumption that more holistically equates charities with publicly traded companies, potentially giving rise to a formidable slippery slope. In all three provisions, charities are treated worse than for-profit businesses, or at least some segment of them. This is not to suggest that charities are better than businesses or even that the charitable sector is inherently more virtuous than markets or the economy. The point is that they are different. Among other things, they serve different purposes. They operate with different primary objectives at the forefront of their activities and decision-making. They attract capital differently, and they attract and reward talent differently. The charitable sector distinctively facilitates personal and collective exercises of freedoms that predate and continue to define our national character. They even precede capitalism. These are especially free speech, assembly, and petition. The sector also facilitates a reasoned fit for the free exercise of religion. Perhaps especially because of Constitutional and cultural protections for speech, assembly and petition, the charitable sector uniquely encourages opportunities for conceiving, evolving, and organizing around new ideas and thinking, some of which may be controversial, unpopular, or even ignored. Over time, those ideas may stay dormant and undiscovered. Sometimes, they emerge as mainstream and populist. At other times, they are rejected as then current thinking is re-affirmed and resolve in the status quo is strengthened. All for better, for worse, and nonetheless invaluable. Those ideas and their ability to take root and be opposed across political and social spectrums serve as an essential source of the pluralism, faction, and citizen accountability that is especially core to our social and political systems. All of which are bedrock for a healthy, vibrant republican democracy conceived of and nurtured through liberty. That being said, charities and businesses are not without similarities. They both extol private initiative, problem solving, opportunity recognition and exploitation, and taking risks – although available patience may differ. They both operate in a private realm for decision-making even as consequences are not necessarily so private. Like business, some charities earn their revenues. They are both subject to many of the same laws and regulations when applicable, such as employment discrimination, payroll taxes, and others. 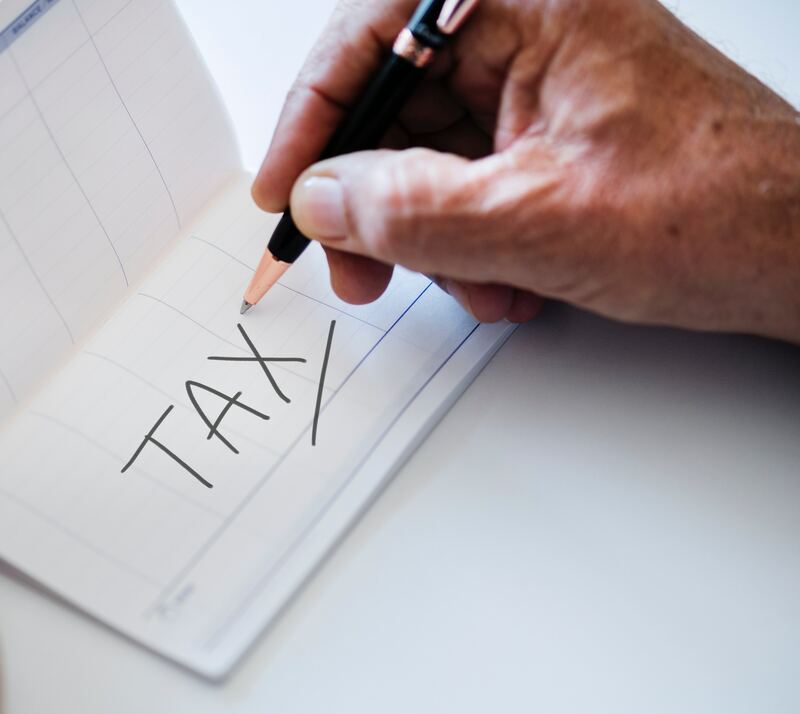 Despite their similarities, as a matter of policy – tax and otherwise – charities and businesses should not be presumptively lumped together. Their purposes, character, and roles in our economic, social and political systems are much more different than they are alike. Despite their differences, the three provisions of the 2017 Act discussed above strive to impose parity. Ultimately – and ironically – that effort ends up imposing not parity but disparity as charities are disadvantaged financially, not just relative to their treatment before the Act but also relative to business to the extent comparisons are warranted. Perhaps recently introduced bills and announced regulations will resolve some of those financial problems and their consequences, thus reminding policymakers about the work and financial realities of the charitable sector. But combating forgetfulness through reminders is not enough. If it were enough, the provisions of the Act that overweight similarities between business and charity would not have been enacted in the first place. We need more than reminders. What is called for is persistent, ever-present mindfulness and intentionality, not just of differences between charities and business but of the core value and roles of the charitable sector. And not just among policymakers but also those who are in, support, and benefit from the charitable sector and its enterprises. As long as speech, assembly, petition, free exercise, contrarian and diverse points of view, pluralism, private initiative, and other founding principles are bedrock, then the distinctive ways in which the charitable sector manifests those principles is worthy of that intentionality. The charitable sector can withstand financial hardship imposed by tax policy. It cannot withstand and will not long survive its erosion by presumptive conflation with business, whether by policy or otherwise. John Tyler is general counsel, corporate secretary, and ethics officer for the Ewing Marion Kauffman Foundation. He serves on the board and as secretary of the Philanthropy Roundtable, is on the steering committee for the Alliance for Charitable Reform, and has also served on the Independent Sector’s public policy committee. Tyler has designed courses for Columbia University’s masters in nonprofit management program. He has written dozens of articles and book chapters on philanthropy and public policy, and frequently speaks on a wide array of topics related to the role of philanthropy in American society.